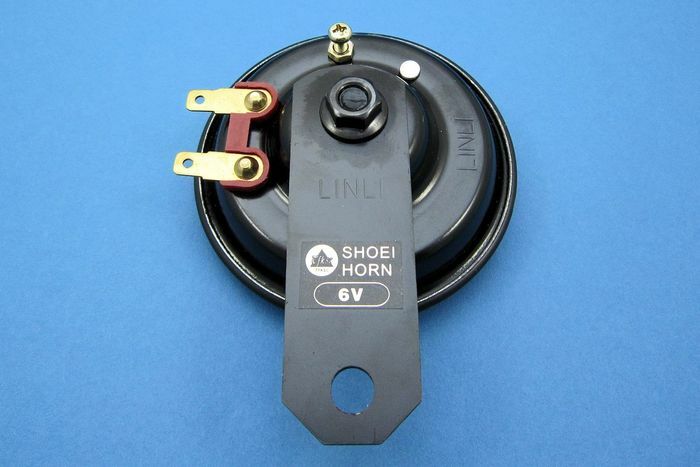 Black 6V Horn, 92mm diameter. 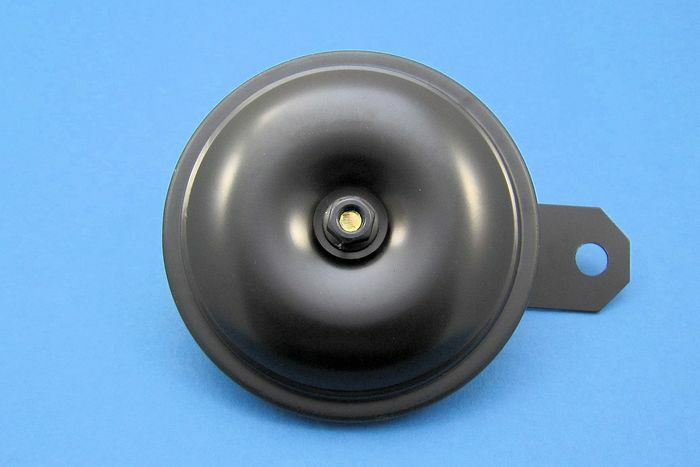 90mm long mounting bracket, with a single 8mm mounting hole. 430Hz, 105db with 2 x 6.3mm Lucar connections.